» Episode Guide » Viewing Episode: アローラ！はじめての島、はじめてのポケモンたち！！/Alola! 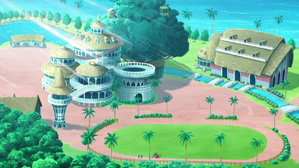 New Islands, New Pokémon!! A Zero With No End! Till the Day we Meet Again!! Enter the Guardian Deity Kapu-Kokeko! Let Us Attempt To Master Our Z-Move!! 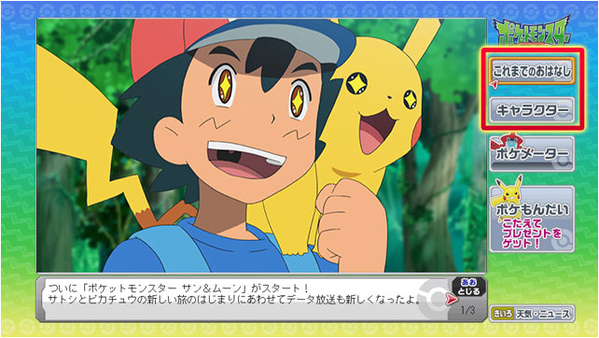 The Pocket Monsters Sun and Moon data broadcast was a new data broadcast system which began with this episode and was an additional segment that allowed people with a compatible settop during the original TV Tokyo airing to look up character profiles for the show's main characters and read a short overview of the series' plot. Viewers could push the d-button on their remote control and participate in the data broadcast. Video done by TSS_Killer and showcases SM24. 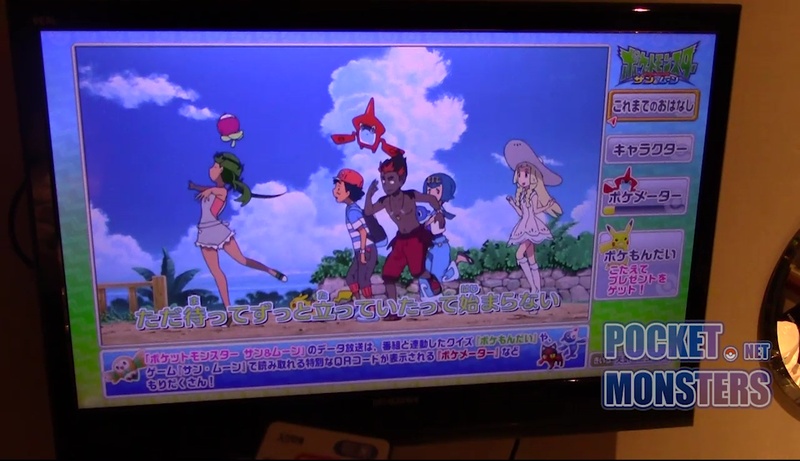 The announcer introduced the extravagant 1 hour special for the Pocket Monsters Sun and Moon anime. Satoshi and Pikachu's fully powered adventure in the new setting of the Alola region begins in this special. As part of the broadcast, there was a keyword quiz where viewers could win super extravagant prizes! Viewers needed to collect the pieces of the keyword that appeared throughout this airing and send in their answer!